SSouth African Tourism, Wesgro, V&A Waterfront and The Table Bay Hotel today hosted a China Ready Workshop in Cape Town with key local tourism trade representatives. The workshop was led by Mansoor Mohamed, SA Tourism’s Hub Head for the Asia Pacific region who is based in Beijing. “The workshop has been designed to give South Africa’s tourism trade vital information on how to enter the lucrative Chinese outbound travel market,” said Mohamed. The China Ready Workshop provided intelligent insights into China outbound travel. The workshop also provided delegates with a detailed overview of the media and marketing landscape in China. The delegates were given advice on how to enhance the visitor experience for the Chinese Traveller. 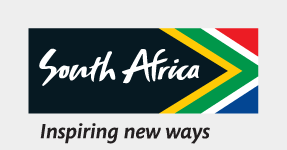 SA Tourism’s 2019 Asia Pacific Roadshow planned for June and July 2019 was presented to the delegates. “It is important for tourism businesses in SA to realise the benefits of becoming China Ready. There risks and rewards associated with doing business in China, more informed decisions can be made if one understand these risks,” concluded Mohamed. China, the largest outbound travel market is expected to grow from an estimated 140 million travelers in 2018 to an estimated 250 million travelers by 2025. South Africa will receive an estimated 100,000 Chinese Travelers in 2018 with an average stay of 9 days and estimated economic impact of ZAR 1.4billion for the 6 months ending June 2018. Travel habits are changing, and while packaged tours are still popular for Chinese Travelers to South Africa, most Chinese travelers now prefer FIT over group packaged tours. The number of repeat visitors from China to South Africa is more than 50%, which is a strong indication that first time travelers are finding South Africa safe, secure and a value-added destination. Chinese Travelers look mostly at Chinese language websites to book their travel. Therefore, it is better for SA Businesses to establish excellent relationships with local players in China. The average Chinese person spends an average of more than 4 hours on the mobile device every day. The number of smartphone users in China is estimated at 750 million users, more than 3x the size of the US at an estimated 220 million.